Do you know what “good" looks like for your business? If you know something doesn’t work - do you know how to fix it? My focus is on helping solve problems rather than just accepting them and working round them. 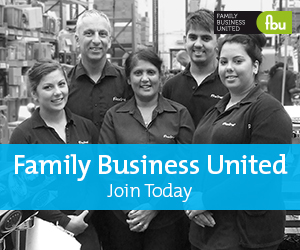 I am a trusted business adviser to family businesses, both large and small. I have worked with several of my clients for many years to help them grow, or in tough times become more sustainable businesses. I have extensive experience in providing business and commercial support to a wide range of enterprises to help them achieve their objectives. I have also developed a strong following of clients in the property & construction and leisure & hospitality sectors. No two days are the same for me and that’s way I like it. One day I might chair a board meeting, another I might help develop a succession plan and the next attend key commercial negotiations. My focus is on doing what’s right for the long term success of the business and the people associated with it. We can help with the commercial aspects of your business such as financial and management reporting, structuring and ownership, corporate tax and succession. And we can advise on personal finance matters like wealth management and inheritance tax. But we’re much more than just a trusted business and financial adviser. We’re counsellors, mentors, an impartial sounding board and an empathetic ear when you’re facing the difficult decisions that running a family business can throw at you.